Affiliate Marketing (a.k.a. referral marketing) is a process in which an individual is paid to successfully promote a product of a service for a company. It is one of the most brilliant online business models for both the company offering the product or service and the person seeking to make money online. The company is able to recruit and empower an independent sales force that they only pay if and when a sale is made, which saves them lots of overhead such as salary and marketing costs. An affiliate marketer can promote nearly any type of product or service without having to store products or provide any fulfillment or customer support AND get paid very well to do it! The Merchant is the company offering the product or service. It is the merchants job to set up the affiliate program, then recruit and train the affiliate marketers. Often this is done by a specialist called an affiliate manager. The Affiliate (or affiliate marketer) markets the merchants products or services (usually online) by promoting an encoded website (URL) that track the referrals and sales for the merchant and affiliate. Traditionally, the merchant provides the affiliate with a specially coded tracking URL to promote that contains the affiliate tracking code. When the affiliate sends customers to that URL and the click through to the merchants website, a cookie is stored on their computer and if a sale is made, the payment processing software will credit the affiliate marketers account with the sale. The more advanced systems allow affiliate marketers to have a login console where they can track their sales in real time, or at least daily. There are often minimum payouts required which helps the company keep administrative costs down. The Affiliate is the one who does the hard work of getting the offer in front of paying customers. Being an affiliate marketer is essentially like being a commissioned sales rep.
2. Management. Hiring an affiliate manager or company to manage the affiliate program is a key to success because your affiliates will want to know that someone is proactively overseeing the program, as this will encourage them to join your program instead of a competitor. For an affiliate, knowing that a program is well run, also gives them security that they will get paid for their work. 3. Marketing. Affiliates want resources such as websites, ad copy, and graphics to help them effectively promote the merchants products and services. 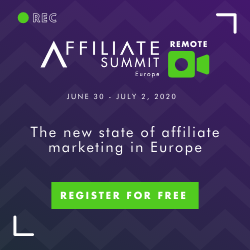 The more resources you provide for affiliates, the greater your chances of attracting top producing affiliate marketers. And you want the top producers, not just the folks learning the business. 1. They have to invest time learning the product or service. This is why it’s important to promote products you know and use because it reduces the learning curve. 2. Technology glitches can impact whether or not an affiliate marketer gets paid. For example, if a customer does not use – or clears – web browser cookies, the affiliate marketer will likely not get credited with a sale. 3. You have to invest your own money in marketing and advertising. This means that those who understand online marketing have a greater advantage. For a free Internet Marketing and Social Media course, visit http://www.akaim.com. For the merchant, the advantage is having another channel in which to promote their products and services. They get free marketing and advertising from an army of affiliate marketers; some who are seasoned, but most dreaming of success and not really committed to success. For the affiliate marketer, the best thing about affiliate marketing is that you can start immediately and you can do it without spending money. Don’t get me wrong, there is a huge learning curve and ultimately it is a business, so to be successful, you will have to spend money – but there are low and no cost methods of promoting online. You can enroll in a free Internet Marketing and Social Media course at http://www.akaim.com. 1. Internet Marketing and Social Media training. The stronger your online marketing skills are, the better you will do in affiliate marketing. course,. If you want an affordable and comprehensive online marketing and social media course, visit Digital Marketing Insiders. 2. Super Affiliate Handbook – The Affiliate Marketing “bible”. In addition to knowing how to market online, this book is written by one of the most successful affiliate marketers of all time. Her book is a must have if you want to success in this business; get it here. – Lack of focus. They just keep buying more “how to” guides and never buckle down and “do the stuff”. I recommend you make a committment to yourself. Get the resources above and don’t let anything distract you for a year. When those checks start coming in, no matter how small, you will be motivated to continue. – Lack of guidance. Think about how you learned your job. Didn’t someone who was already successful in the position show you how to do it? It’s no different with affiliate marketing. Those that invest in their education and affiliate marketing training succeed more often than those who do not. After you’ve gotten started with the resources above, if you still need some coaching, contact me and I will be happy to discuss either group or personal coaching options with you.